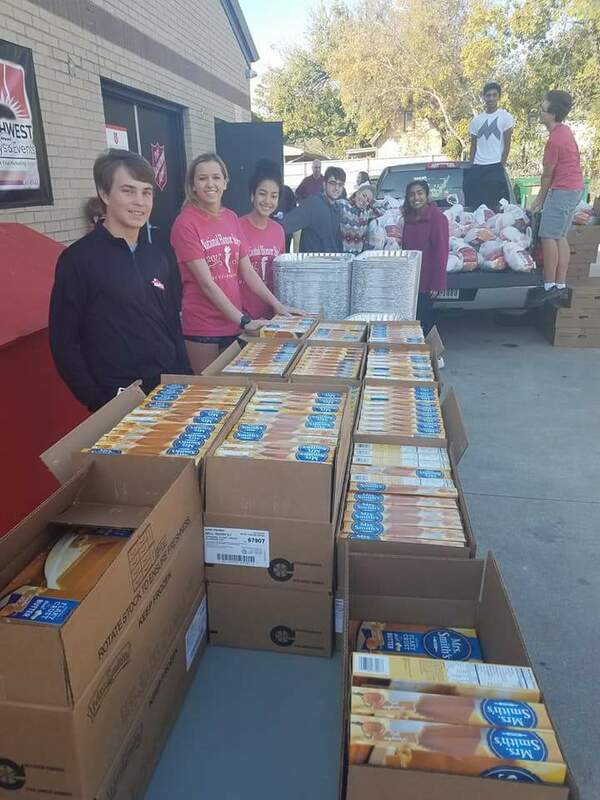 The Interact Club of Marcus High School (HV Rotary's sponsored Student Club) along with several members of HR Rotary were out in full force Saturday to provide Thanksgiving Dinners for families through the Lewisville Salvation Army. 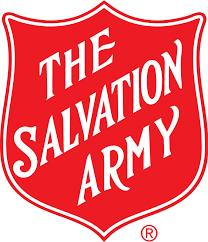 Working with Market Street as their cooperate sponsor, the students collected enough donations to provide 183 meals for the Lewisville Salvation Army. This far exceeded their goal of 100! 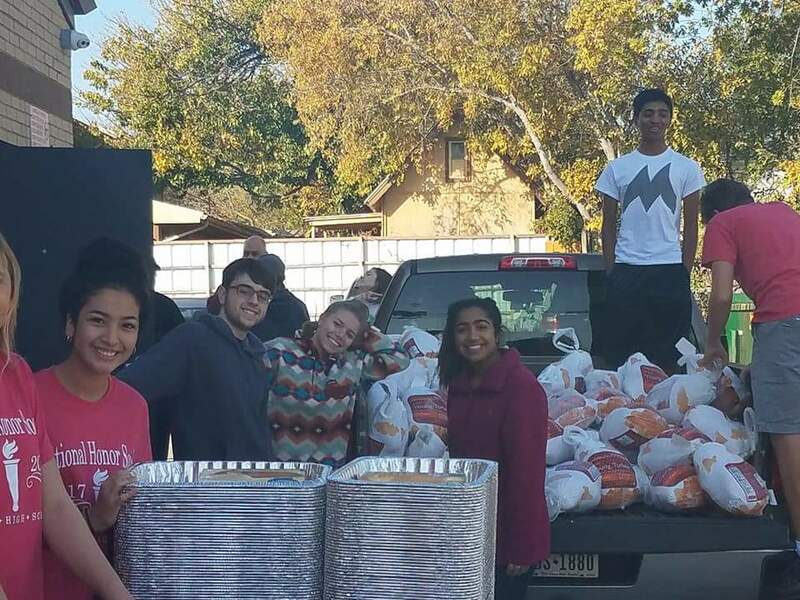 Frozen turkeys were loaded into trucks and made their way to the Lewisville Salvation Army location on Charles St. There the meals (complete with roasting pans, and pumpkin pies) were packaged up and provided to families. The students planned and executed this entire project down to the last detail of helping carry the turkey's to the cars.